Not sure what to give your host? Or worse, not sure what to serve at your own dinner party? The rules for hosting and attending dinner in someone's home aren't as clear-cut as those for attending weddings. So it's no surprise many people are left wondering about the do's and don'ts of being a good host or a guest. 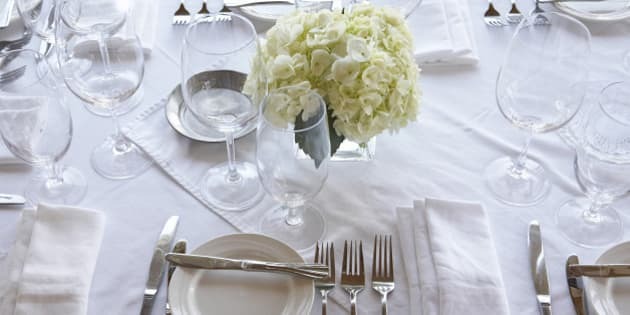 Fortunately, the folks at Aspire Doors has you covered with a simple guide to hosting and attending any type of dinner party. Sure, you already know you shouldn't blow on your food to cool it down, but do you know the proper order to serve your dinner guests? This simple chart explains it all with tips that cover everything from how to sit to what to serve and even what to talk about.